Durable Outdoor Protection - A high-performance fabric at a moderate price - easy to use, easy to clean, great UV resistance, good breathability, fade resistant. Ultra'tect is made from a solution-dye WeatherMax®SL fabric. A reasonably priced cover that will retain its color and strength in extended outdoor exposure, while providing a high degree of water resistance and UV protection. Developed in partnership with Safety Components Fabric Technologies (SCFTI), a U.S. textile firm and leader in woven fabric technology with roots going back over 100 years. Eco Conservation Friendly - We protect your vehicle and your selection of this fabric helps to protect our environment! Ultra'tect® uses a superior fade resistant solution-dye production process that SAVES 1,000 gallons of water for every 1,000 yards of fabric produced. The cover not only looks good it also fits very good. Very happy with this purchase. Auto geek provided excellent customer assistance and very fast shipping. 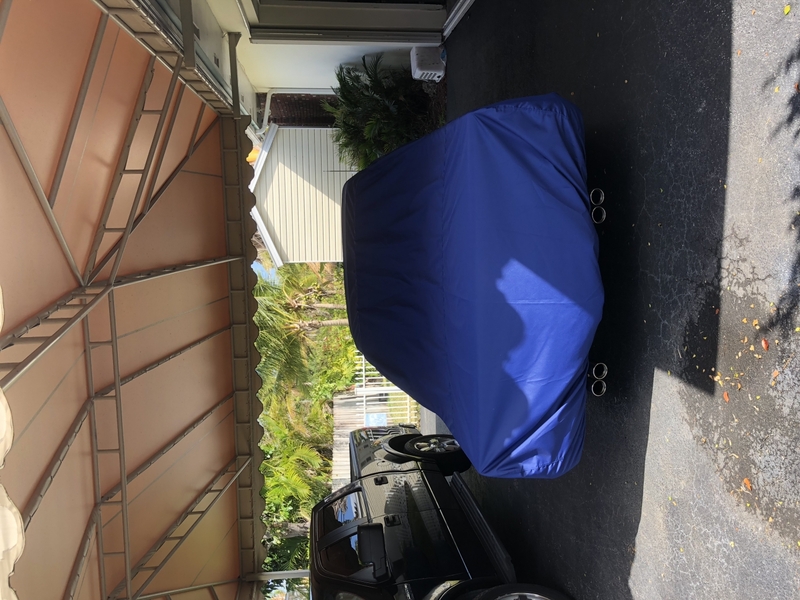 Highly recommend auto geek and the cover craft Ultratech car cover. ProsLooks great, fits great and easy to handle. I wanted a washable cover to keep the sun off of a red fire metallic Lexus in Central Florida. Until recently, the car has been garage kept since it was brand new, and treated like a show car. Due to remodeling, the garage is not available, and the only option was a car cover. I put the cover on today and the fit is perfect. Before putting it on, I couldn't put my hand on the painted surface because it was so hot. After putting the cover on, it felt warm but not hot. This was the lowest priced custom cover I could find that was light enough to be washable in a normal machine. The chart on autogeek allowed me to find it quickly. I am impressed with the way it is made. I read they use WeatherMax fabric. Considering the price of the fabric, I don't know how they make it for this price, but I am glad they do. Out of the box, I love it. It's easy to put on. It looks great. The video is great for someone inexperienced with car covers, like me. The day I put it on, we had a downpour, and yes, it went through the cover, but I expected that because it is a washable fabric. The fabric acts like a filter, keeping the dirt out, and the rainwater doesnâ€™t leave water spots like water from a faucet. It is exactly what I wanted!!! This is one super cover, Fit was very good, exception being mirror pockets were short on depth, that was the only igem to keeping this from being perfect. Still, one heck of a cover.